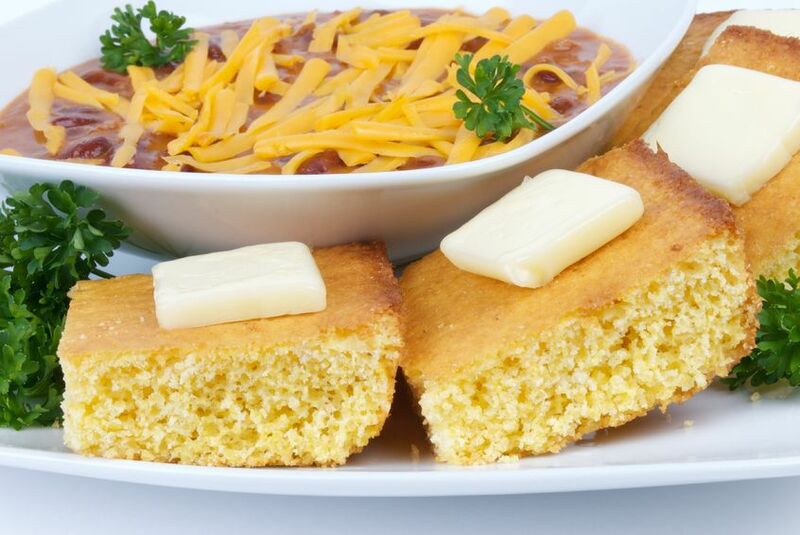 One of our favourite winter meal is chilli and cornbread. I make the cornbread from scratch and we eat it hot, straight from the oven, with a big bowl of chilli. Any leftover cornbread is delicious thinly sliced and toasted for breakfast the next morning. Put all ingredients in slow cooker in order listed. Stir gently to blend, being careful not to break up beans. Cover and cook on high for 5-6 hours or low 10 - 12 hours. Times will vary between slow cookers. Test after the minimum time to see if the meat is cooked and the sauce has thickened. Serve with rice and cornbread. Stir all ingredients in mixing bowl until just combined. Mix with electric mixer on medium speed for one minute. Pour into well greased 20cm square cake tin. Bake at 220 degrees Celsius for 20 - 25 minutes until golden brown. Cool on wire rack.